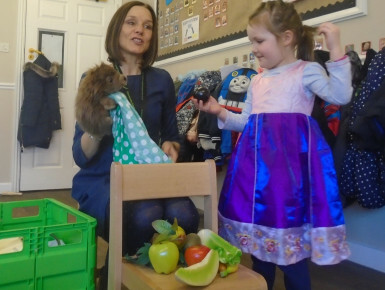 The oldest children in our Pre-School room had a very special visitor this morning; Liz the dentist. 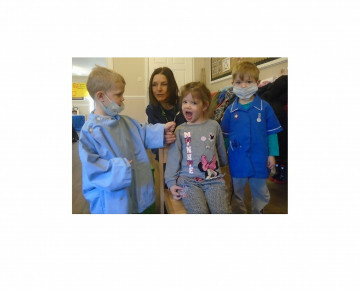 The children learned all about the importance of oral hygiene and keeping our teeth clean. The children carefully counted each others teeth and checked they were pearly white and clean. 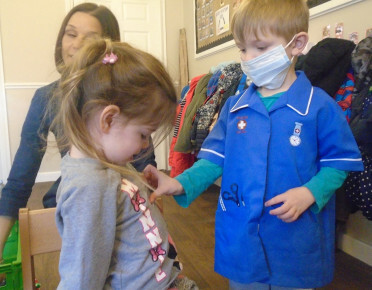 The children shared stories of previous visits to the dentists and what stickers they got! Not every story was a happy one though as Grace told us "I had to go to the dentist when I fell and chipped my tooth. It hurt a lot but Mummy says the Tooth Fairy will look after it when I'm older." The children also learnt about healthy foods and why we need to eat a balanced diet. 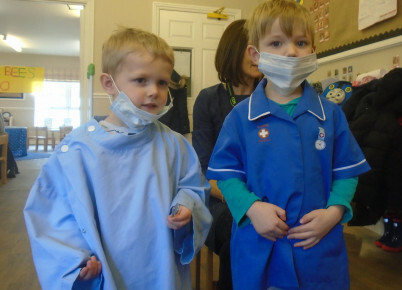 The highlight of the visit was dressing up as a dentist and role playing different scenarios.